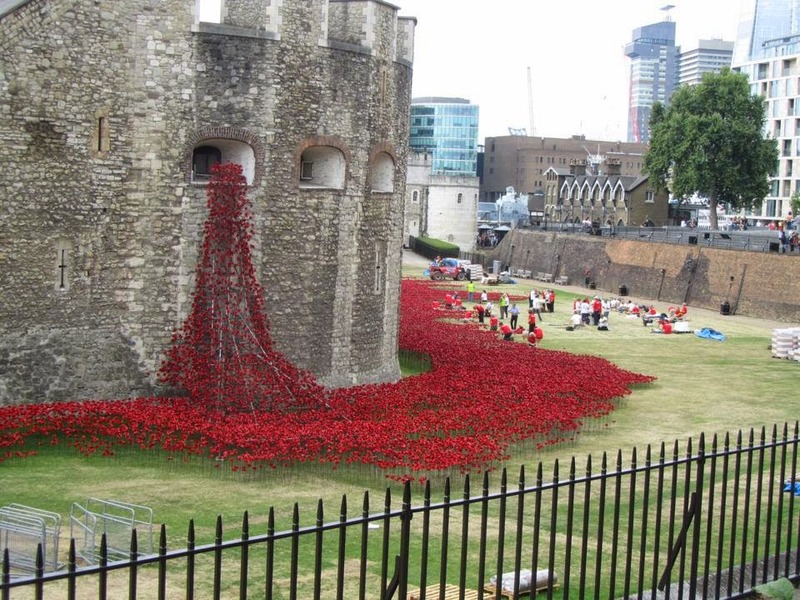 Today there are news stories about the 888,246 ceramic poppies at the Tower of London, "Blood Swept Lands and Seas of Red" by Paul Cummins. I showed the photos to my mother and was not at all surprised when she recited the John McCrae's poem. I was surprised by an interesting variation in the wording. She replaced the line "to you from failing hands..." with "to you from foreign lands..."
She is unsure when she memorized the poem. McCrae was a Canadian and his poem was used in both Canada and the USA to inspire enlistment in the military during WWII. Was "foreign lands" a mere slip of her tongue or memory? Or, was the poem slightly altered in the version she saw as a child or in versions she may have seen later as part of a campaign against American isolationism?